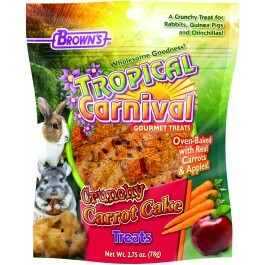 Open the bag and smell the sweet aroma of Brown’s® Tropical Carnival® Crunchy Carrot Cake Treats. 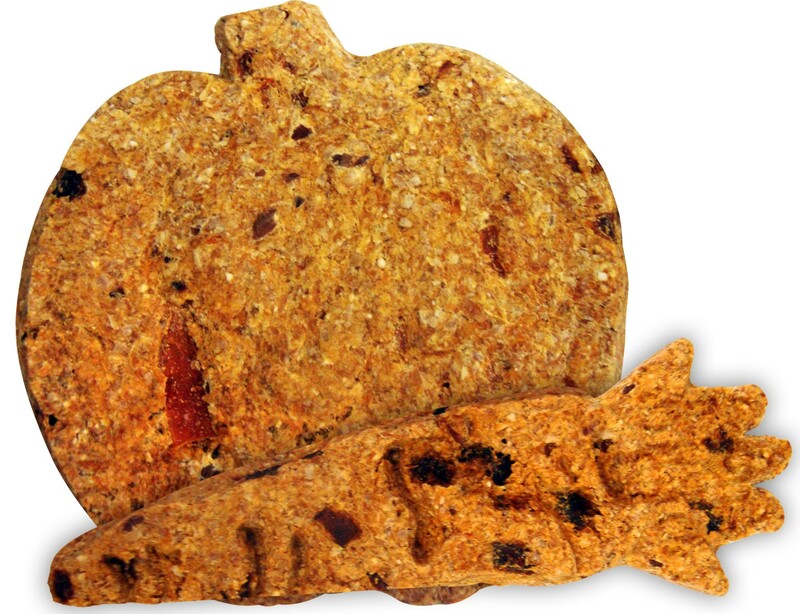 These “cake-slice” shaped, tasty treats are made with real carrots, apples, and raisins. They’re oven baked with a little love in every bite. Crunchy Carrot Cake Treats are a great source of fiber and protein, plus we’ve fortified them with extra Vitamin C, biotin, zinc and flax seed meal to help ensure your pet’s health. 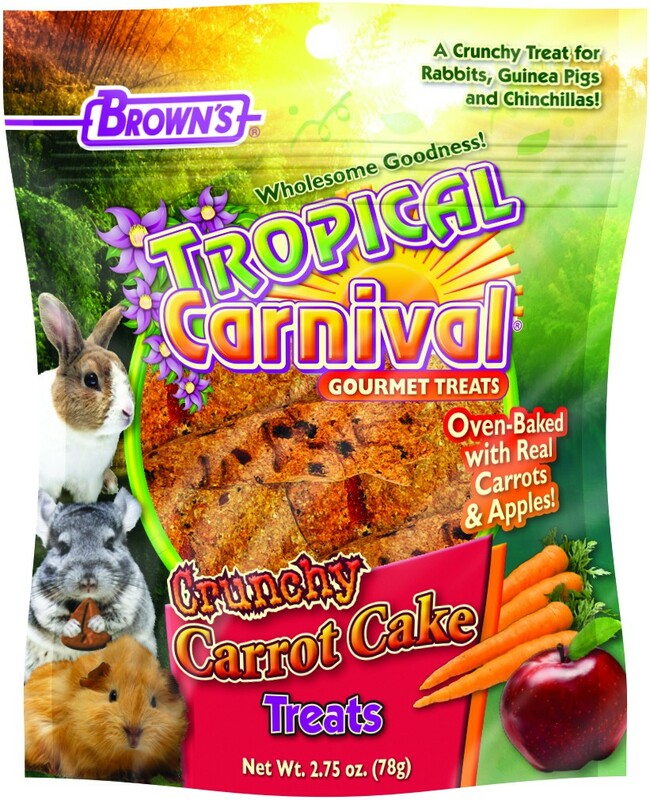 Wheat Flour, Feeding Oat Meal, Dehydrated Carrots, Dehydrated Apples, Alfalfa Meal Dehydrated, Cane Molasses, Canola Oil, Flax Seed Meal, Anise Oil, Ascorbic Acid, Mixed Tocopherols (a preservative), Vitamin E Supplement, Biotin, Zinc Methionine Complex and Yellow #6.